Gavin and Yvonne Frost, considered elders of the pagan/Wiccan community, have taught Witchcraft for more than 30 years. Their daughter, the editor of this revised edition, has studied Wicca all her life. They fell that this book is an excellent bridge between introductory pagan/Wiccan idealogy and more serious magickal practice. 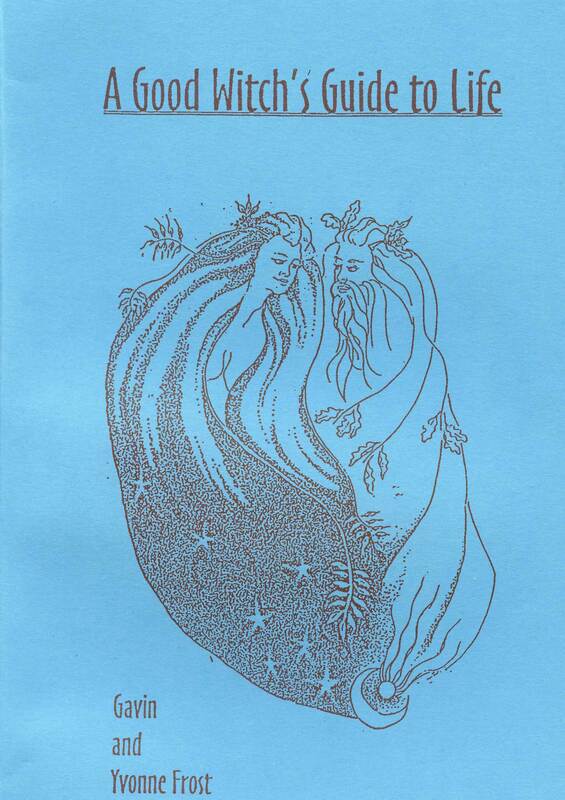 This book contains a concise guide to the Frosts’ approach to an alternative spirituality. They believe that this path can lead you to happiness and serenity in a complex, modern world. 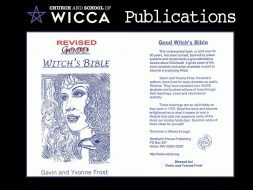 You can do no better than to employ Gavin and Yvonne as your guides in the complex world of Wicca (Witchcraft). 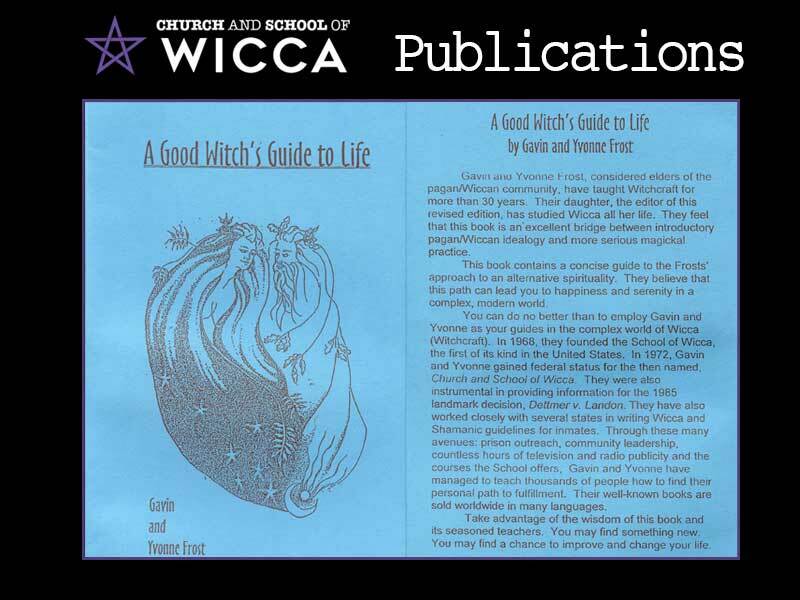 In 1968, they founded the School of Wicca, the first of its kind in the United States. 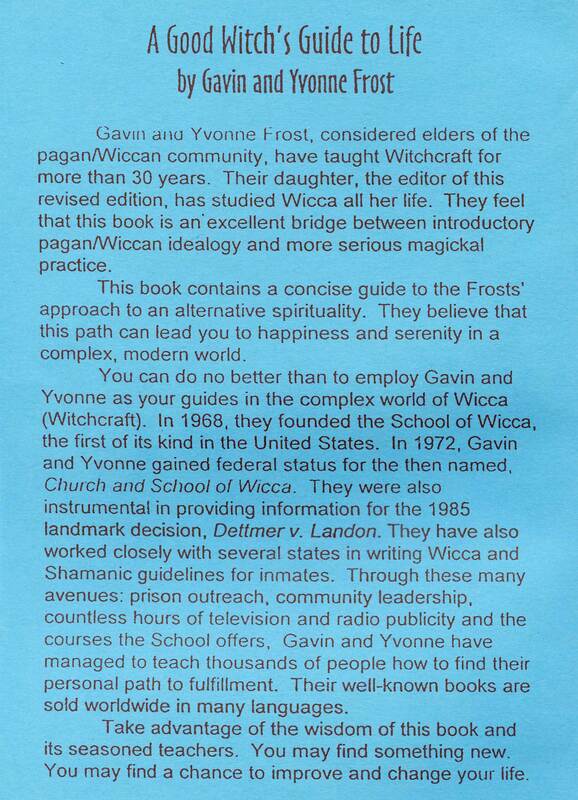 In 1972, Gavin and Yvonne gained federal status for the then named, Church and School of Wicca. They were also instrumental in providing information for the 1985 landmark decision, Dettmer v. Landon. They have also worked closely with several states in writing Wicca and Shamanic guidelines for inmates. Through these many avenues: prison outreach, community leadership, countless hours of television and radio publicity and the courses the School offers, Gavin and Yvonne have managed to teach thousands of people how to find their personal path to fulfillment. Their well-known books are sold worldwide in many languages.